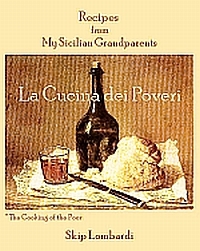 Many readers already know of our other blog which traces the evolution of Italian food and culture in America, where an abundance of ingredients gave new life to hundreds of regional Old World recipes. 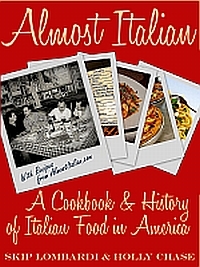 On Almostitalian.com we explore an ever-changing—and truly American—culinary culture that has evolved far beyond red sauce. As we’ve written previously on Almost Italian, virtually no spot in Italy is more than 75 miles from the shores of the Mediterranean. Thus, seafaring and fishing have long been crucial to inhabitants of the Italian peninsula and islands. Since generations of Italians have derived their sustenance from the sea, it is no surprise that Italy’s folkloric commemorations of the Nativity would take on a marine character . 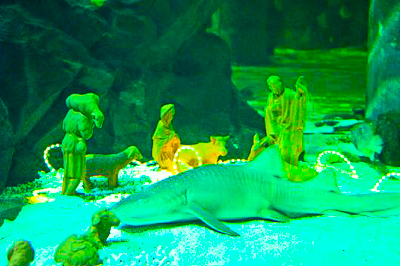 Simultaneously expressing the Italian capacity for spirituality and spectacle, the Presepe Sommerso, the Underwater Nativity Scene, celebrates the lifegiving mysteries of the waters. 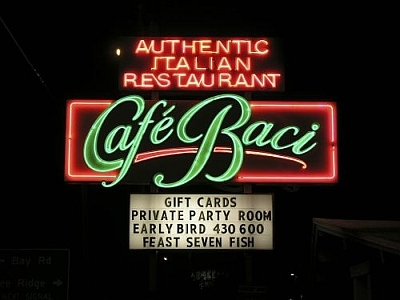 We think it’s a tradition that Sarasota is well-poised to interpret and adapt, just as so many Italian towns—from Lake Maggiore to the Amalfi Coast—have done before us.